"This work is simply a proof of principle and we haven't demonstrated these functions in animals yet," Gao says. "However, this framework could help us transition to using programmable, cell-based therapies as medicines." "A lot of work has been done on protein engineering, but this is the first time that we have engineered proteins that regulate—or interact with—one another in similar ways, which allows them to be combined as useful building blocks," Chong says. 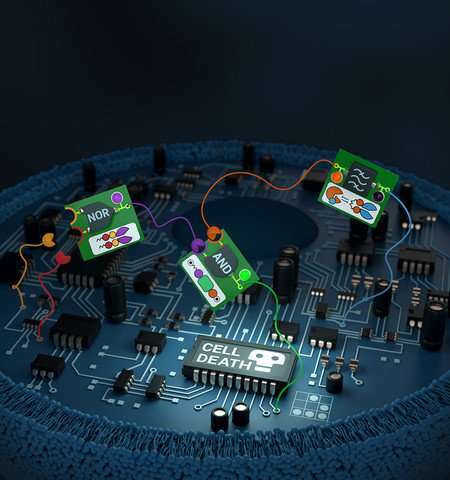 The paper is titled "Programmable protein circuits in living cells." Ahhh Doctor Frankenstein, I presume?